Many states require companies to publish Annual Statements — including Financial Statements, Certificates of Compliance and Certificates of Authority — to conduct business in their respective state. Typically, notices must appear in newspapers of general circulation in prescribed locations, including major cities, all counties, and/or specific locations. 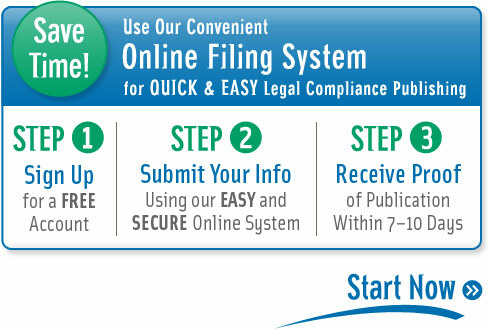 WNGates.com helps a wide array of companies just like yours navigate the often difficult, time-consuming process of legal compliance. We take great pride in our research ability to ensure that your notices reach the widest circulation at the minimum cost to you. Our notice tracking systems guarantee that your notice will be run on a timely basis and, when necessary, simultaneously in multiple locations. Click here to visit our blog where we answer your most frequently asked questions.